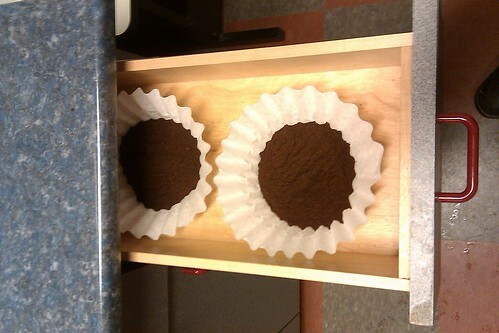 This is why plonq makes his own coffee at home before heading in and avoids the stuff at work. There's only two pots laid out in there today, but I've seen people set out a week's worth at a time. Nothing makes for tasty coffee like laying it out in a drawer to oxidise and turn bitter before it ever sees the pot.